Whether you're working from home or the office, distractions happen, and they can be a productivity killer. Nearly everyone has an example of weeks that you look back on and wonder "What happened? I know I was busy . . . " while still feeling as though you've accomplished nothing. With deadlines crashing down on your head and the constant demands of family and work, it's important to be as productive as possible to maintain your sanity. These productivity tools are vetted by experts to help bring balance back to your life -- while still getting things done. Even if you're not a fan of tracking every task that comes across your desk, a time tracker can provide a valuable way to give yourself mental freedom from specific tasks. For instance, what if instead of tracking the time you're doing something, you track the time when you're not doing something -- like checking email? Set a timer for three hours and (gasp!) close your email client completely. Turn your phone over on your desk, and turn off the ringer. For three hours, allow yourself to focus on something other than responding to others. You will be pleasantly surprised at how productive you're able to be without the constant distractions caused by emails, text messages, and social media without feeling like you've been out of the loop for too long. Of course, you can always use time trackers in the traditional way, by setting estimates for time and tracking how long specific tasks will take. Either usage will help bring your productivity back into focus! Cloud-based document and data storage platforms allow you to be productive regardless of your physical location -- a critical need in today's always-on business world. Google Drive, Dropbox, and Box are a few of the options that offer low-cost ways to sync your information between tablets, mobile phones, and laptops or desktops, so you're never truly away from the office. More corporations are utilizing these cloud alternatives to traditional enterprise data storage due to the relatively inexpensive cost and ease of use for employees. Mobile apps such as Expensify allow you to take a quick snap of receipts and classify them by project, something that is invaluable for today's busy professional. Keeping track of receipts and ensuring that they get assigned to the right account is yet another of those small yet nagging tasks that can reduce your available mental space without a single return. Clear out the clutter mentally and physically when you use a digital expense management tool. 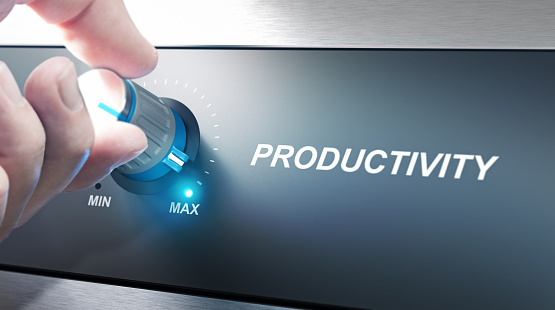 Ultimately, these productivity tools will help you squeeze a few extra moments into your day by automating simple tasks such as unsubscribing from email lists and having the information at your fingertips when you need it. When you're able to take these actions when you think of them, you're clearing your mind for additional productivity -- instead of having to maintain a mental database of open tasks to be completed. Take back your sanity by becoming more productive and regaining some of your focus!